Upgrading ALICE: What's in store for the next two years? 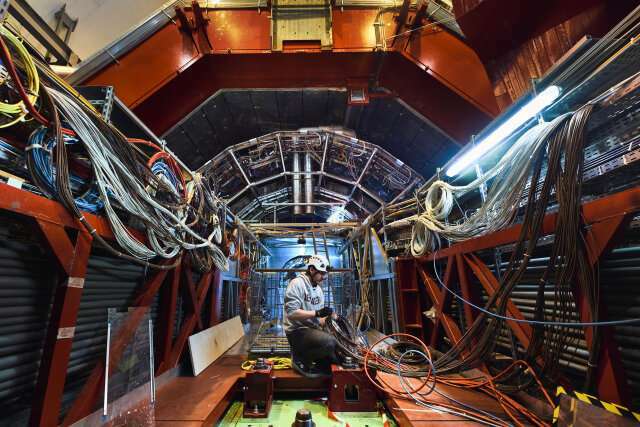 With massive red doors weighing 350 tonnes each, it takes more than uttering "open sesame" to open the ALICE detector. Behind the doors lie the inner workings of a unique detector built to study the conditions of matter moments after the birth of the Universe, conditions which are recreated in the LHC. During this upgrade, a smaller-diameter beam pipe will replace ALICE's existing one. 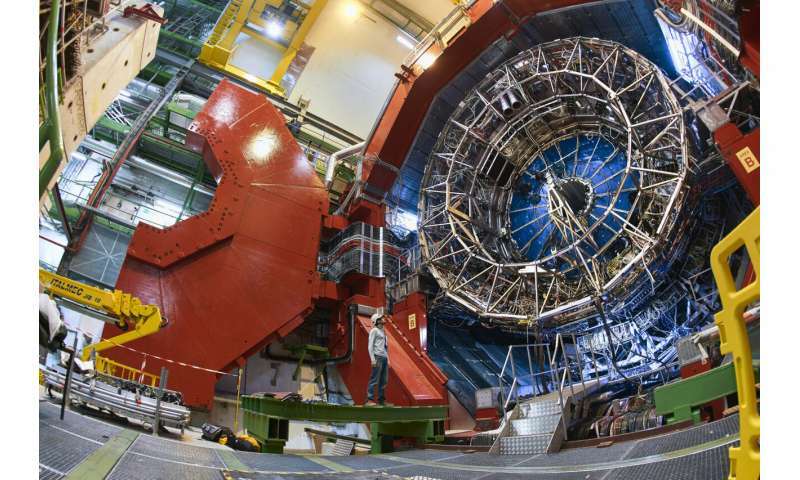 Inside the beam pipe, particles travel at almost the speed of light and smash together inside the core of the detector, generating many new particles. Scientists are interested in determining the position of the interaction point, and reducing the beam pipe's diameter improves this measurement by a factor of three with respect to the present detector. 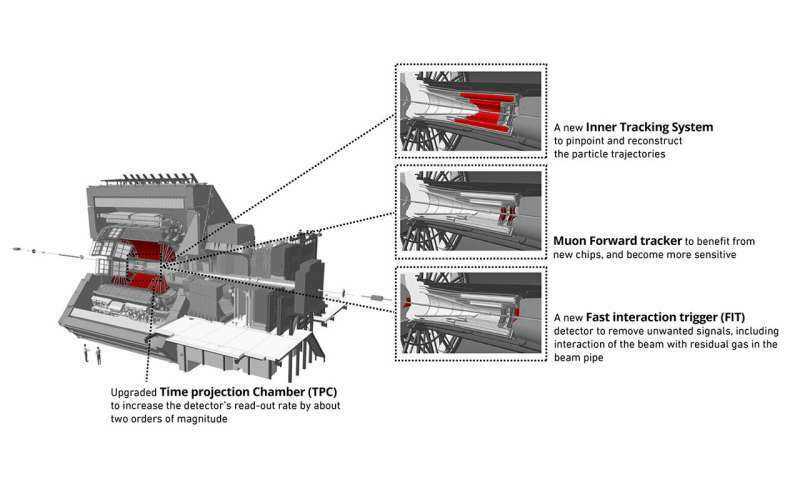 ALICE will also become better at detecting particles with a shorter lifetime, i.e. those decaying closer to the interaction point. 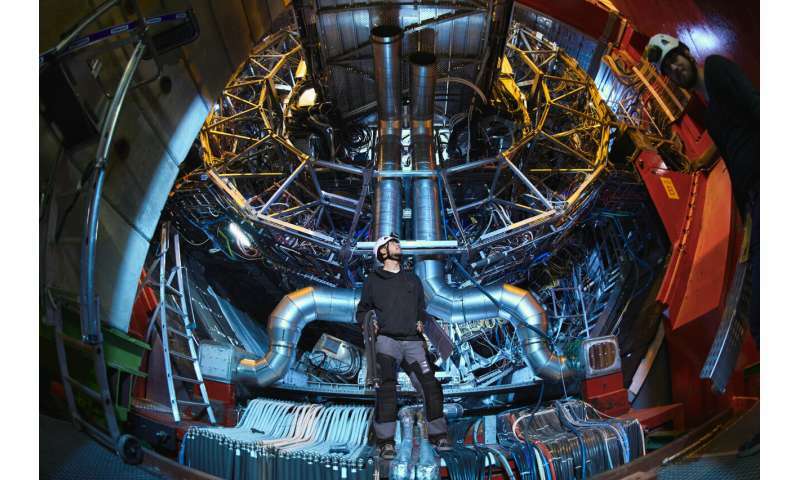 A major upgrade of the ALICE time projection chamber (TPC), an 88-cubic-metre cylinder filled with gas and read-out detectors that follows particles' trajectories in 3-D, is also ongoing. Charged particles spraying out from the collision point ionise the gas along their path, liberating clouds of electrons that drift towards the endplates of the cylinder. These make up a signal that is amplified and then read. The current read-out, based on multi-wire proportional-chamber technology, will not be able to cope with increased interaction rates, so it will be replaced with multi-stage gas electron multiplier (GEM) chambers. This upgrade will increase the read-out rate of the detector by about two orders of magnitude. When ALICE's magnet doors close again in summer 2020, they will hide an even more powerful instrument, ready to embark on more collisions and more data-taking.